Sketching Some cuties today! Llama! Bright, pastel colors are here! Today I was playing around with wet media brushes in Photoshop and created this bold graphic for March. I have been seeing a ton of St. Patty's day and very Easter looking graphics out there for March, and I wanted something a little different. This has the classic pink/blue/green color theme without being overly festive. My desktop will be happy with this, and maybe I will print out some little cards as well. I was just on a flight, flipping through the new Better Homes & Gardens magazine and noticed all the springtime products and garden goodies! This year we are finally able to have a small garden on our balcony and I can't wait to get it started. 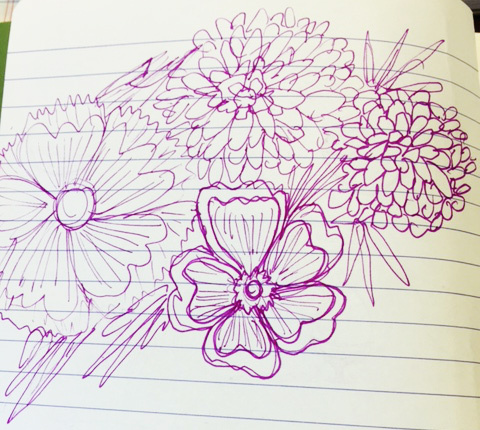 Feeling inspired I whipped out my notebook and started sketching. 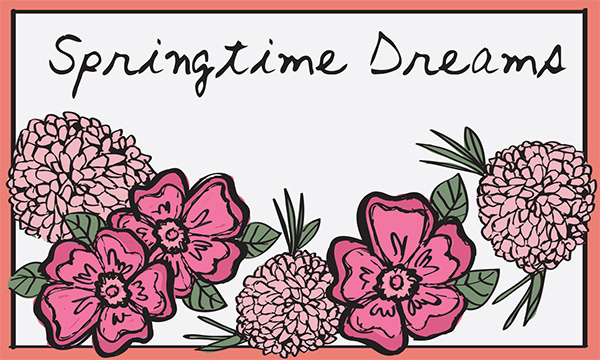 This floral sketch looked really nice when I later traced it in Illustrator, so I made a little note card. It will no doubt remind me spring is coming, even if it is still cold outside. Here's to a plentiful spring ahead! I love Valentine's cards. 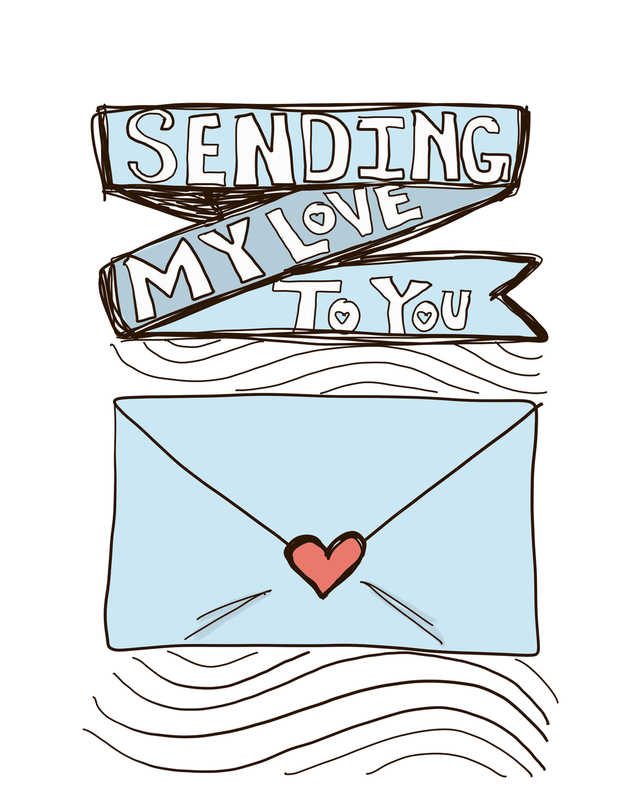 Cute, witty, little cards you give to your loved ones. This year I used the Bamboo app to draw a few, then I did one by hand and finished it in Photoshop. It was cool to see how true to my hand writing the Surface Pro 4's pen tool showed up in the first three. The one I did by hand (the llama) and colored in Photoshop looks pretty similar. These are ready to print and mail! I have always loved drawing, painting, and doodling and until now haven't really shared them or my creative process. I am starting this blog with the intention of doing just that, plus connecting with other artists and being inspired to create even more. You can follow me here or on Instagram! Here's to a creative year ahead!